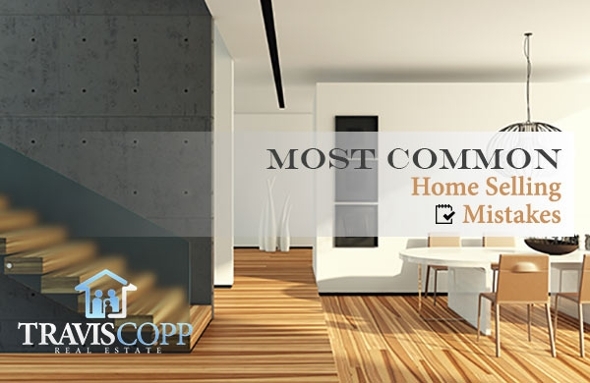 The Most Common Selling Mistakes Home Sellers Should Be Aware Of! As a property seller, you naturally want the best offer for your home. But this does not mean you list your property at an excessively high price. Buyers tend to lose interest and not bother coming for viewings. Here are some common selling mistakes that all home sellers should be aware of! Most often, lending companies over-estimate the value of your house in order to encourage re-financing. The best thing to do is to appoint a real estate agent who has vast knowledge about the local sales in your neighborhood. This will give you a better idea of your property's real value. When trying to market your home to potential buyers, make sure you showcase your home to make it look appealing. If there are any repairs outstanding, get them done right away. A poorly kept property will lessen your chances of selling it at the price you want. Purchasing a property can be a difficult decision for any home buyer. You must therefore allow potential buyers to properly assess the property and do not try to hard sell. Instead, be approachable and give honest answers to questions. Potential home buyers who show interest in your property may not actually be interested at all. Most REALTOR'S® do not find buyers within 3 months as people like to weigh all their options before settling for their final choice. If they have their own homes to sell first, they will not be able to afford to buy another one. Your assigned real estate agent should be able to competently find true buyers for you. These professionals will usually check the potential buyer's savings, or buying power to see if they have the ability to purchase. Even if your real estate broker overlooks this factor, you should do your own research to obtain this information. This will help you avoid time wasters. What is more, you may look for a new REALTOR® who is more competent than the previous one. The other mistake you may make in selling your property is overlooking your responsibilities. It is highly important to be well-informed of the real estate contract. This is a legally binding document and can often be confusing. You should seek the advice of a lawyer first prior to signing the contract. By not getting legal advice, the terms in the contract may end up costing you thousands, so it is your responsibility to know your obligations. You should by now have taken your time in choosing a knowledgeable real estate agent. However, circumstances may change and you may have misjudged your agent. In this case, you are within your right to move on to a new REALTOR® who can fulfill your needs. Most agencies will have no problem replacing a REALTOR® with a new one so be sure to appoint the right person before signing the contract. Another mistake that many home sellers tend to make is limiting the advertising of their property. There are two marketing tools that most sellers use known as open houses and classified adverts. But the fact of the matter is that both of these strategies are ineffective. Less than 1 percent of properties are sold at auctions and less than 3 percent are sold through ads. REALTOR'S® only use these methods to attract potential buyers, not to sell the property. Your assigned real estate broker should use a number of different advertising strategies. He or she should be dedicated in selling your home and must be easily contactable by potential buyers. During business hours, when the calls are received, and viewings are arranged, your real estate agent will work hard to sell your home during these hours. These professionals are especially useful when you are at work and do not have the time to show your home to prospective buyers. The last mistake is selecting the wrong real estate agent. As selling your house is one of the most important financial transactions you will ever make, it is highly important that you choose the right REALTOR®. Experienced real estate brokers cost the same as brand new REALTOR'S®. But the chances are that the experienced broker will find you a better buyer without the hassles. It is best to take your time in choosing the right real estate agent. Be sure to interview the candidates and ask them all the questions you have to assess their competency. If you want to have the best selling experience, it is essential that you hire the most experienced and professional REALTOR® that understands your needs and can get you the highest price.